I have once again been asked to play at the Synthetic Culture end of year special. 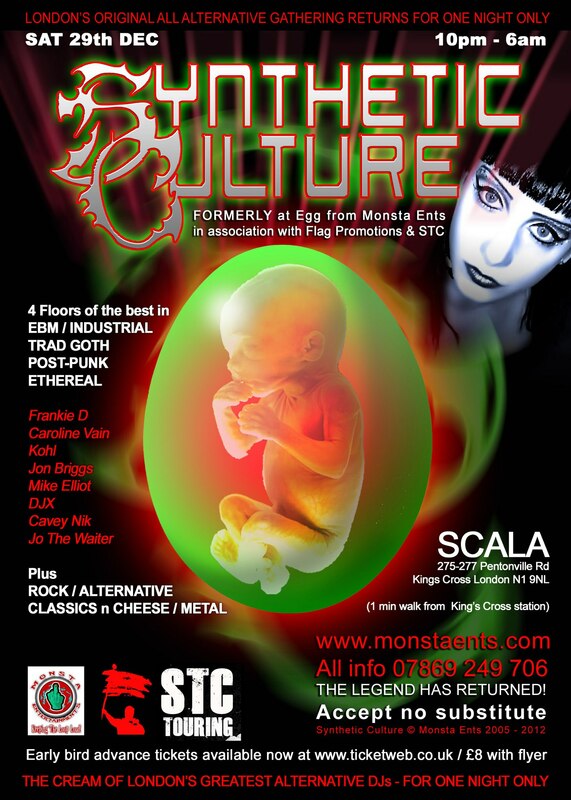 Formerly at EGG, this year’s event will be at the very lovely SCALA in Kings Cross on Saturday December 29th. It’s too early to tell you what rooms I am gonna DJ in, but click on the official Facebook event link below for more info now and as we move closer to the event. ~ by calumgray on October 16, 2012.